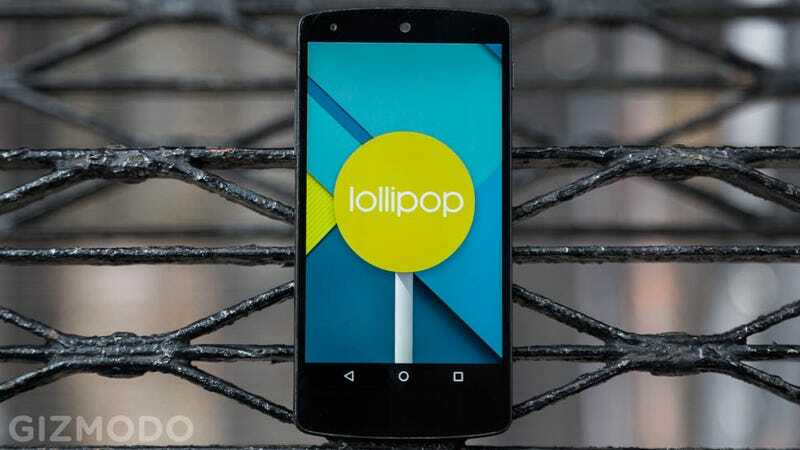 Android 5.0 Lollipop just started rolling out. Like all Android operating system releases, it'll probably take a week or two to filter down even to Nexus devices, and maybe a month or two before it starts showing up elsewhere. But in the meantime I've been using it on the Nexus 9 and Nexus 6 and the developer preview on my beat up Nexus 5. Not long enough to real soak it all in, but enough to have some general thoughts, the foremost of which is that Android Lollipop is great. I'll start with my one of best parts of Android Lollipop so far: the notifications. Finally, finally, finally catching up to iOS, Android now has terrific little notification cards on the lockscreen. Pull them down to get access to a full list and a settings menu without unlocking your phone, or double tap them to zoom right into the associated apps and see what's up. It's fantastic. In the past you could get something close to this by cobbling together a DIY solution with DashClock or something. But having notifications on the lockscreen automatically is a dream. It's made my phone infinitely more useful as a second screen while I'm at my desk. It's easier than ever to check your notifications at a glance and pare them down right from the lockscreen, maintaining a list of them as a sort of automatically generated to-do list, swiping away Facebook notifications and tapping through to the emails. And of course, the animations that accompany the process are bouncy, vibrant, and just all around pleasant. The other great part is that even though I'm tapping through to those emails through a secure, PIN-protected lockscreen, I never notice. Lollipop's new Smart Lockscreen options means that whenever my phone is paired with my smartwatch or one of my Bluetooth speakers, the lockscreen just isn't there. Once upon a time, I hacked together something like this using a rooted phone and an app called Tasker, or just opted to not have a secure lockscreen at all, but Smart Lockscreen makes it dumb easy. The only thing that's missing is the option to use trusted Wi-Fi networks or location-data to do the same thing. Facial unlock is also back, with a reinvention from its Jelly Bean days. Instead of being the way you lock your phone, it just searches for your face in the background, while you're (probably) looking at notifications. If it can see you, it disables the PIN. If not, it doesn't. I've got it on and I think it's working, but the only evidence I get is not having to enter a PIN. It's seamless in exactly the way it should be. Lollipop's also bringing a few new apps to the table. Gmail is pretty functionally identically, but with a bright red makeover. Calendar, on the other hand, is all new and flat-out terrific. It auto-generates events from your email (theoretically; I have yet to see this happen) but even better it lets you enter events in the form of a sentence, and then pulls in data for you. Not automatically, but it makes it easy. This has gotten me scheduling out my personal plans for the first time in years. I think I might be starting to get organized, but I'm not making a verdict just yet. Those are just the features that have stuck out to me so far. There are more. There's a "priority notifications only" mode that lets you turn off the firehouse and opt for a notification stream that's easier to sip from. Pinned applications that let you share your phone without sharing everything on your phone. A battery saver mode that scales down performance and kicks in automatically at 15 percent battery power. A lot of which has already existed on iOS or skinned versions of Android, or even Windows Phone. That they've all found a home on stock Android is fantastic. And also, of course, the whole thing is damn beautiful. Like, the most beautiful operating system I have ever seen. Windows Phone is a different, more minimalist flavor that's pretty in its own way, but iOS 8 isn't even close. 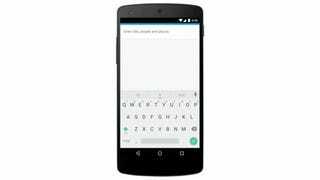 Part of it is the animations and style that are built into the very skeleton of Android now. The way notification cards subtly "bounce" as you expand them and pull down on them. The way the app drawer button sort of explodes out into the app drawer. The simple act of touching things to select them generates this nice little wavey animation that's pleasant, but subtle. Google's big pitch for Material Design—a screen full of cards and other layered, almost physical objects that just feel like they're moving around—is wonderful in motion. And it isn't just movement. Lollipop—and more accurately, Google's apps that have been redesigned for it—make such great use of color. No lie, I want to use the Messenger app just because I really enjoy the way the floating yellow "new message button" pops against the white and blue of the rest of the window. It's vibrant without being aggressive or cloying. As cliched a term as it might seem, Lollipop really is "playful." It's both a joy to use to look at while using it. 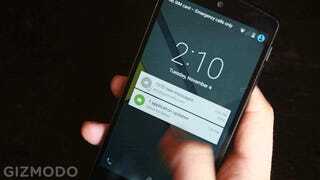 Android has never had such a clear vision of how it should look and behave under your fingers. And the bonus is that the vision is great. Unfortunately it'll take a while for this to trickle down to a lot of folks. Android moves slowly, and while adoption rates for new versions like this are getting better, they're still not great. 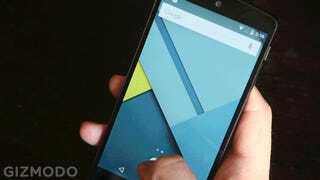 The good news is that ike KitKat, Lollipop is designed to run light. 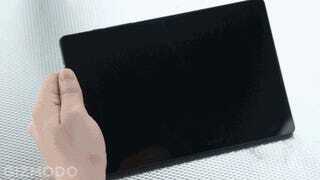 Even with all those animations, just about any decent Android phone should be able to handle it. On top of that plenty of companies—like HTC and Motorola—have already promised to bring it to their flagships as soon as possible. As well they should. Lollipop is a huge step forward for Android, and definitely worthy of the bump to 5.0. Google's put Android through redesigns before, but Lollipop is the one that maybe can—and definitely should—stick.